Man what a good day!!! Got up, had a bowl sushi cereal ( sushi with out all the work involved back packer style ) went out gadget shopping, picked up two pairs of headphones, a pair of sennheisers for personal offline gameplay, as well as a stand up pair of the steel series for online play and chat. A couple of extra gaming mouse pads and two extra back ups of my primary gaming mouse an a back up for my primary gaming keyboard. My personal rewards for all the time online I have been puting in getting myself back up to speed gaming wise. Gotta say, Q2 wise, its all starting to come together real nice, have all the minor minor + minor and major + major major software installed and tweaked out for mapping, movie, model, skin, single player mission making and anything else making that I can't think of off the top of my head right now. Got my peeps building me custom server boxes for Q1/2/3/4, no time estimate when I'll have those up though, but they are a priority though an in the back ground priority. I wanna enjoy letting my true inner geek come out with the map making and other stuff first. Its kind of a sweet feeling branching out into the different aspects that Q2 offers instead of the constant grind of dm. I kick myself now for not branching out into it all back in the day with Q1/2 but it was a different time for me, ..I lived for the frag!!! Also been ripping web pages left right and center so I have access to it all offline from just plain information of "Oh ya I remember that reminders" to get me up and running I'm in need of a tutorial, ..never mind if it just up and a vanishes from the web. 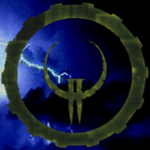 Still looking in to dll coding for Q2 though, only have this web site so far www.quake2.com/dll/ but seems like a good starting point considering I never got invovled in it all. Gotta clean up and sort all the files and web links a little better though since I'm looking in to some online storage to get it up online for others should anyone else find themselves in my situation deciding to reholster a mouse an keyboard. I plan to include every thing I have aquired that was based on my needs and hopefully it will help others out. On that note, if anyone can think of web pages that should be ripped dealing with Q2 ( 1/3/4 ), mention them in this thread and I'll take care of it and add it to my online storage for others. Lets call that my contribution for the community since I can devote time to it as well as the fact I enjoy research. Main online straight up dm.cfg is coming together nicely, still needs a few more tweaks in there though, pretty rough trying to remember some of my own special twist and tweaks I had for that. Gotta get some serious multi bot practice in though and get the eye back in shape though, ..hey atleast I'm not walking in to walls anymore and my fingers aren't tripping over the key board anymore ahaha! Also looking in to getting a webpage going and finding some place I can be hosted yad yada yada blippty blah blah blah. Anyhow, its time to take a break from all the surfing, seeking and research an just enjoy playing the game and the mods again while working on my first introduction map plus reviewing all the Q2C mapping compitions/learning from observation. So like the subject line says, Q2 is pretty well done, time to enjoy some of the rewards of it before I have to start all over and do it all again for Q1/3/4. One last thing and I'll shut up, its been pretty kewl reviewing all the history that I missed out on, had a lot of just sit back and smile moments. Thanks to all of those from here in the Q2C that have helped answer questions or drop little hints as a guide. I toast you all and all those from Commander Keen, Wolfienstien, Doom and all the Quake Freaks. Alright, thats it from me, ..don't forget to uplug once in awhile and enjoy the stars. For coding game DLLs, it's easiest to obtain whatever version of Visual Studio Express Edition Microsoft is currently offering (free). You could also find an old copy of MS Visual C++ 6 on eBay (expensive) or through other other means, if you really want to avoid the hassle of changing compiler settings. For newer Visual Studio versions, you'll need to convert the MSVC5/6 project files that the Q2 DLL source and most mod sources use (done with a wizard automatically when opening it). Then you'll need to edit the project settings (Project->Properties->Configuration Properties->C/C++->Advanced) to disable some warnings (4996) and make sure that it's configured to compile as C code instead of C++. If you want to compile any version of the Q2 engine, you'll also need to download and install the DirectX SDK, and then configure Visual Studio to use the SDK's headers and libs. Go to Options->Projects and Solutions->VC++ Directories and add the Include and Lib\x86 paths (e.g. C:\Program Files (x86)\Microsoft DirectX SDK (June 2010)\Include and C:\Program Files (x86)\Microsoft DirectX SDK (June 2010)\Lib\x86) from the SDK to the list of directories for Include files and Library files.